At NANNY CAN, LLC, we are a government approved contractor providing services for all branches of the military. We provide a database of professional sitters, all of whom have been subjected to background checks and are certified in CPR and first aid. We ensure the security, safety, and happiness of you and your children by holding sitters to the highest standards. We are available 24 hours a day and, even though we prefer at least a 24-hour notice of a booking, we understand the need for last minute baby-sitting needs and will accommodate whenever possible. NANNY CAN, LLC, is an Active Duty military family owned business who specializes in providing quality childcare for all military retreats including but not limited to Strong Bonds, Yellow Ribbon, CREDO and Air Force Family Enrichment events at hotels/condo resorts nationwide. We have over 3 years of experience in military events. Many of our nannies are active duty spouses or veterans. Please call for special Military discount rates for your events. 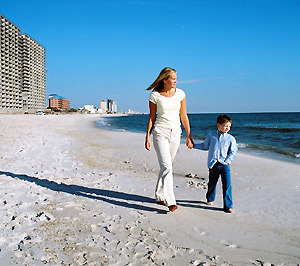 Find baby sitting service and nanny referrals in Destin, Fort Walton Beach, Panama City Beach, Panama City, Beaches of South Walton, 30-A, Carillon Beach, Edgewater Beach Resort, Long Beach Resort, Pinnacle Port, En Soleil, Rosemary Beach, Seagrove Beach, Grayton Beach, Seaside, Watercolor, Santa Rosa Beach, Sandestin, Seacrest, The Princess, St. Thomas Inn and Coldwell Banker Rentals. Contact us for baby sitters, nannies and day care in Northwest, Florida.